Buck Creek — LT Leon Associates Inc. 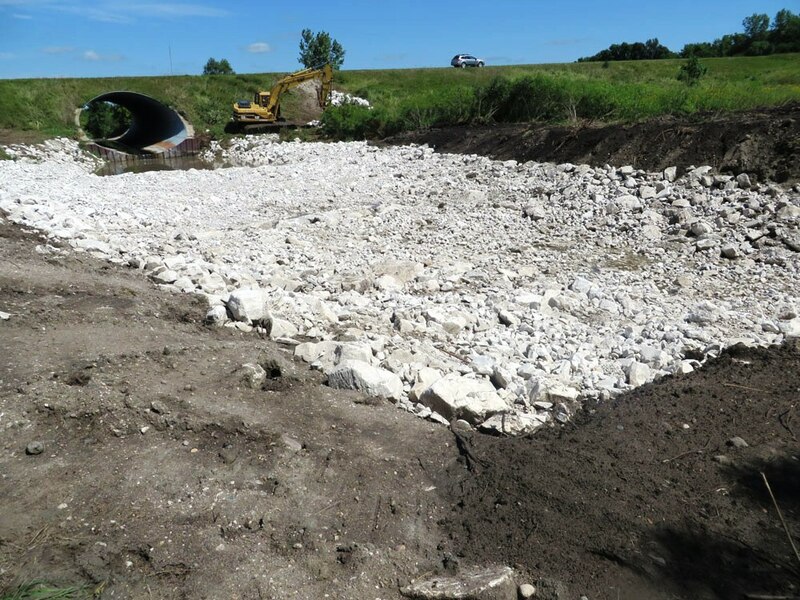 This fish passage and stream restoration project was made possible through partnerships with the landowners, Iowa DNR, The Nature Conservancy, and others. The project was funded by a grant from U.S. Fish and Wildlife Services Fisheries Habitat Action Plan (NFHAP), which helps potect, restore and enhance the nation’s fish and aquatic communities. 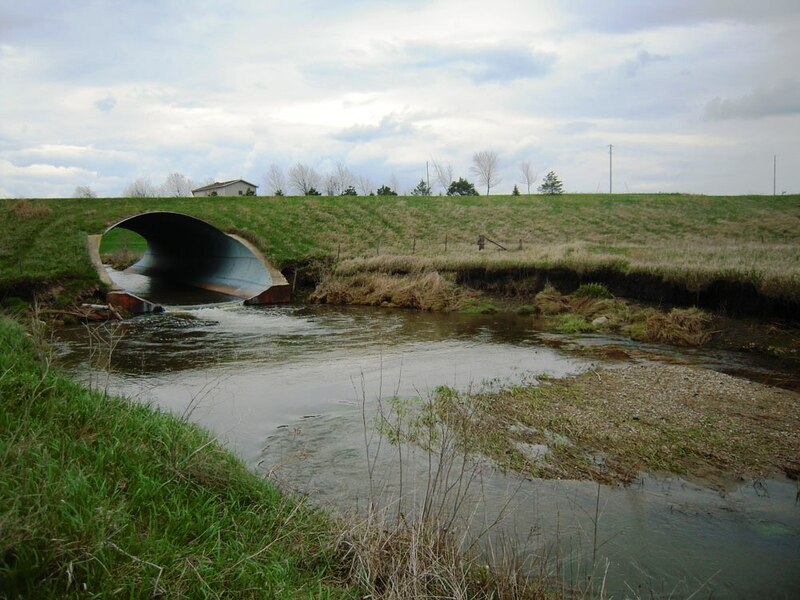 Two existing culverts along Buck Creek impeded fish passage due to a significant water surface elevation drop at each culvert outlet. Also, large scour holes developed downstream of the culverts. 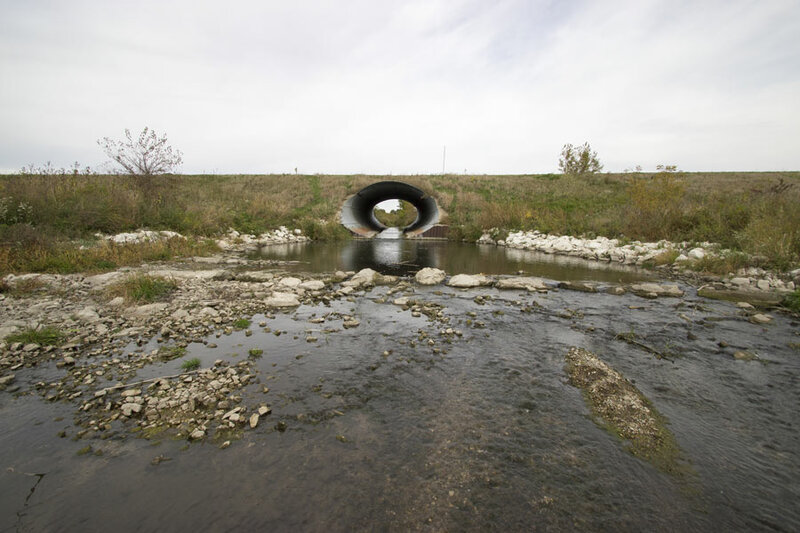 To restore fish passage and improve habitat, rock arch rapids were designed to be located downstream of the culverts. 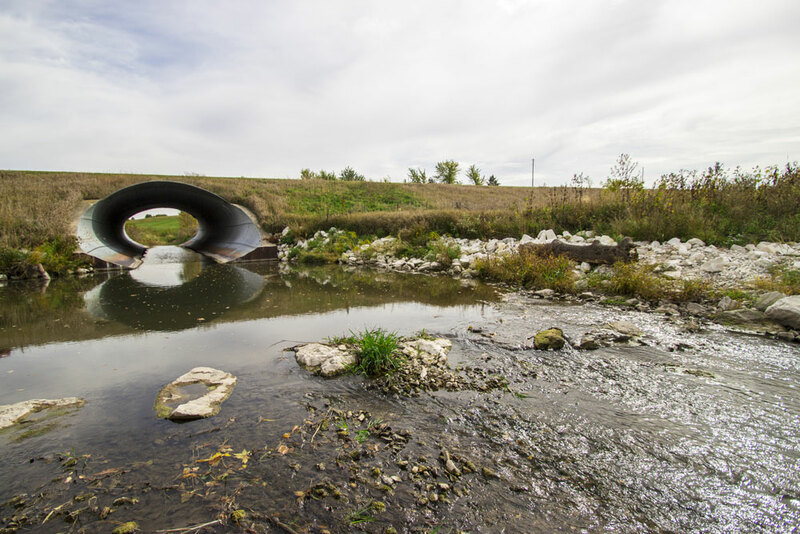 Floodplain benches and streambank stabilization were also designed to mitigate scour and ensure conveyance capacity was not reduced due to the modification. LT Leon analyzed hydrology and hydraulics, prepared plans, specifications, and cost estimates, and provided bidding assistance and construction observation. HEC-RAS was used to analyze existing and proposed hydraulics. StreamStats was used to evaluate hydrology and design flows.